When investing in a home, one of the most important things is buying a place that you and your family can feel comfortable in. However, while a place you can envision yourself in is important, it’s not worth neglecting the neighborhood you’ll be moving into for the perfect home. If you’re wondering what you should be looking for in the neighborhood you choose, here are a few things to consider before making an offer on a home. It may be common to feel bowled over by a home and want to invest immediately, but the right home in the wrong neighborhood may not be the best choice for many reasons. Part of feeling comfortable in your home is being safe among its streets, so ensure you research the neighborhood and its history, and check in on the crime rate. You may even want to consult with your agent or some local neighbors to see what information they can provide about the area’s history. If you’re used to getting in the car to run errands, it might not be a big deal to not have a grocery store or pharmacy nearby. However, if there are no amenities you use frequently close by, it can start to be a bit of a drain on your lifestyle. 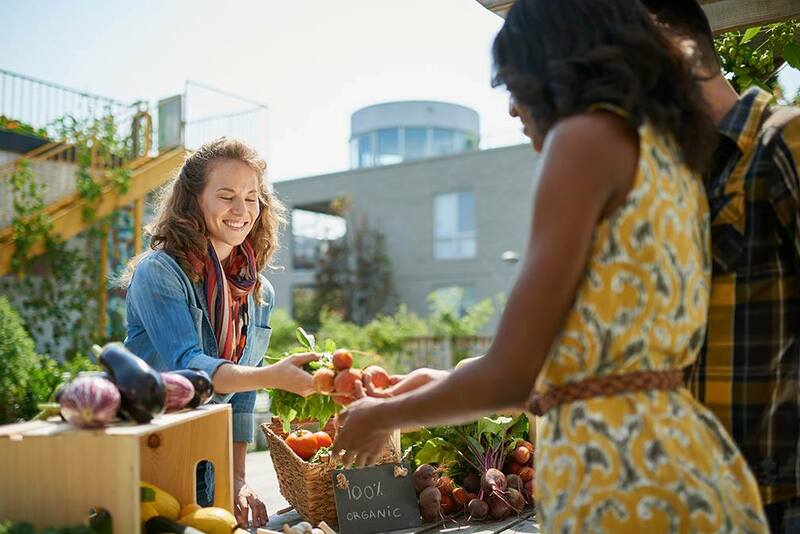 While you don’t necessarily need to have the trendiest restaurants or best shopping, it’s important to have a few choice places in case you run out of something and need to make a quick run to the store. It might seem like a strange thing to ask yourself, but the neighborhood you live in is going to become a big part of your life and that means you’ll have to see yourself in it. If you want neighbors you can trust and community-mindedness, you’ll want to seek out an area with these qualities. On the flip side, if you happen to prefer a busier urban atmosphere that offers more independence, this may be the way to go. There are a lot of things that go into finding the right home, but it’s important not to forget about the neighborhood you’re living in and what it will mean for your lifestyle. If you are interested in purchasing a home in your dream neighborhood, contact your trusted mortgage professional today.